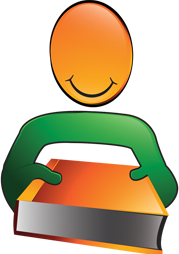 Barry is a captivating presenter, trainer and executive coach. Known as a motivator, team builder, and collaborator, Barry is both passionate and talented at helping individuals, teams and organizations achieve their best. Before joining Black Isle as Managing Director, Barry held senior executive positions at General Motors of Canada Ltd. in sales, service, marketing, and public affairs. Since joining Black Isle, he has embarked on a journey that has been uplifting, inspiring, and rewarding; helping leaders to stand out, whenever they speak. It is his passion. He lights up when, after working with someone, he learns how well their presentations have gone. Barry believes that speaking to impact and influence others is a critical life skill. That today, it is not enough to have the best product, the best service, or the best idea. Barry believes it is important to be able to persuade and convince others. That requires the ability to present your product, your ideas and yourself in the most compelling, yet authentic way. With encouragement from many friends and clients, he has written a book to show people how they can standout whenever they speak. Entitled, “PAUSE” it includes; practical tips and techniques that he has taught to hundreds of clients over the past eight years. Tools that show the reader what it means to be truly impactful when they speak. 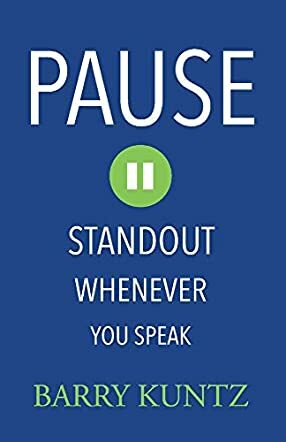 Pause: Standout Whenever You Speak by Barry Kuntz is a quick and enjoyable read that offers readers the tools they need to make a difference when they have to speak. It is one of the best things I have read in effective communication, and in a world that is so noisy and where everyone is in a rush to make themselves heard, it can be difficult to make one’s voice stand out. Speaking in this noisy world can be intimidating and challenging. In this compelling work, readers will understand what it takes to get the attention of any audience, determine what they need to say and the way to say it. It also provides powerful tips and insights on transforming one’s message into something captivating and how to use it to influence others. 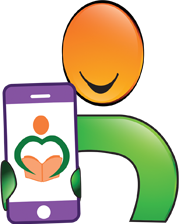 Barry Kuntz is an expert in the art of communication and he has created a tool that is as accessible as it is easy to use. 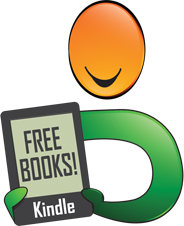 Readers will find a lot of practical tips and wisdom in this book. Its message is designed for those who find it hard to sell themselves, those who are afraid of public speaking, but it also offers invaluable advice to seasoned speakers and communicators. It isn’t enough to have the courage to speak, but more importantly to know how to convey one’s message across to others. This book will help any reader understand the elements of communication that will help them stand out. Pause: Standout Whenever You Speak is written in an easy-to-read, compelling, and friendly style that makes the message accessible to a wide audience. Kuntz is a great writer who combines wit with the art of storytelling to deliver a message that gets straight to the reader’s heart. Pause: Standout Whenever You Speak is a nonfiction occupational self-help book written by Barry Kuntz. Kuntz is an executive coach, trainer and inspirational speaker, and is the Managing Director of Black Isle Consultants. Public speaking is feared by just about anyone who’s ever had to stand up in front of others and deliver a presentation, whether it be in a classroom setting or at a board of directors' meeting. Many eloquent and personable speakers end up delivering overly formal, stiff and poorly designed presentations that leave their audiences feeling bored and disengaged. Kuntz offers an alternative to that scenario, and he’s confident that just about anyone can deliver a compelling and well-crafted presentation if they work through his recommendations and practice the skills he shares. Presentations are not the same as written theses or white papers, and Kuntz gives detailed information on how to design a speech that grabs the audience with the opening lines and holds them throughout. He also coaches the reader on the art of the pause, and how practicing one’s presentation skills can keep the audience engaged and personally involved. These skills can work for any situation, whether it be a large audience or a meeting with a disgruntled superior. Kuntz includes appendices that contain checklists, note guidelines and self-assessment forms as well as a list of references. In Pause: Standout Whenever You Speak, Barry Kuntz demystifies the art of public speaking, and he does so in a succinct and well-organized work, starting with preparation of the text and working through to the actual presentation. I’m familiar with some aspects of oral interpretation and public speaking, but found the author had a lot more to teach me. I was especially intrigued with his Presentation Pyramid method for crafting a speech or presentation, as well as his discussion of the use of conversational style rather than formal language. His advice for setting up one’s notes beforehand also made a lot of sense, even for those who practice their speeches until they are memorized, and those notes seem like they’d be especially helpful for the question and discussion segments of a presentation. But I was most impressed by his insights on pacing one’s presentation and use of eye contact. While I was familiar with, and have employed, both techniques, Kuntz’s applications and practice assignments for these techniques are brilliant. Pause: Standout Whenever You Speak is most highly recommended. Pause: Standout Whenever You Speak by Barry Kuntz is a non-fiction self-help book on the topic of public speaking. This is a book that would appeal most to a mixed audience of young adults and adults who are interested in not only improving their public speaking, but also in learning how to better impact and influence their audience. This book does not teach people how to put on a mask or how to be anyone but themselves. Instead, it teaches people to be engaging to their audience while still being themselves. Unlike most conventional public speaking books, this one does not teach people to conform to public speaking guidelines, but rather how to be a unique and authentic public speaker. Pause by Barry Kuntz is a well-written book that is the perfect length. I really liked how the author kept everything concise and did not go off on tangents. Instead, the author kept on topic without making the book feel like a dry textbook. I found the author’s advice on public speaking to be helpful to me as an individual, and unique from all the public speaking books that I have read in the past. I found that I preferred this style of public speaking over the conventional guidelines because it encouraged me to be myself and taught me how to do a better job of just being myself while speaking to an audience. My favorite section of the book was in chapter three and it was titled “Proper Pace & Well-Timed Eye Contact.” I personally have always struggled with the decision of when and if to make eye contact with my audience and this section provided me with an “aha” sort of moment. Overall, this book was beyond helpful to me and I would recommend it to anyone who struggles with public speaking, as well as those looking to improve their public speaking. In Pause: Standout Whenever You Speak by Barry Kuntz, the old adage of “Tell 'em what you're going to tell 'em. Tell 'em. Then, tell 'em again what you told 'em" is flipped on its head as Kuntz encourages the reader to turn stilted presentations into lively and most important authentic events that will stay in an audience's mind long after it is over. With Pause, Kuntz promises to leave the reader with the building blocks to shed their fear of public speaking, and step forward with impact and influence. From the get go, Kuntz lets the reader know that Pause is not a book that simply helps people conform to the standard. 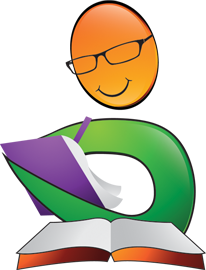 Under his tutelage, the reader will learn how to stand out during presentations. Not only does Kuntz cover presentations, but media interviews as well. Whether it be through print or visual media, Pause: Standout Whenever You Speak by Barry Kuntz offers a very thorough guide. I found Pause: Standout Whenever You Speak by Barry Kuntz to be well written and informative. It is written in a way that makes for easy consumption and understanding, providing gems for all aspects of life. As someone who speaks at several events a year, I found myself agreeing with many of the points he presented as well as learning new methods. I found his insights on media interviews to be invaluable, and Kuntz has proven his writing to be a much needed resource. His guide is short but impactful and provides numerous tools in the appendix for further study. A helpful guide for anyone hoping to present themselves and their ideas to the world with engaging confidence. Pause: Standout Whenever You Speak by Barry Kuntz is a non-fiction book on the art of public speaking. Pause is a fairly short book that focuses on the key aspects on what to keep in mind in order to make an impact and stand out as a speaker. The book is formatted simply and divided into a few chapters, such as the gist of the book, the importance of ensuring that people are actually listening to what one is saying, how to say it, the importance of eye contact, the structure of the content itself, the “dos” and “don’ts” of PowerPoint presentations, creating notes, impromptu speaking, how to handle media interviews, etc. At the end of each chapter is a brief summary of the chapter along with some practice exercises. There are also checklists provided at the end of the book for quick reference and guidance. Although there are a lot of books on public speaking available in the market, I thought Pause was still useful and contributed something unique in its own way. Most people fear speaking in front of crowds yet, at the same time, it is an indisputable fact that without mastering this skill, it is not possible to achieve one’s highest potential professionally and even personally to a certain extent. Barry stresses the importance of learning to pause during a speech at the right moments for maximum effectiveness, among other things. His writing is quite straightforward and to the point and, as he himself suggests, with enough practice anyone should be able to improve in this skill. This is a good read for anyone wanting to learn to be a better public speaker.